Bring an understanding of every facet of the grants award process and the grants life cycle to help military nurse scientists meet grant requirements. 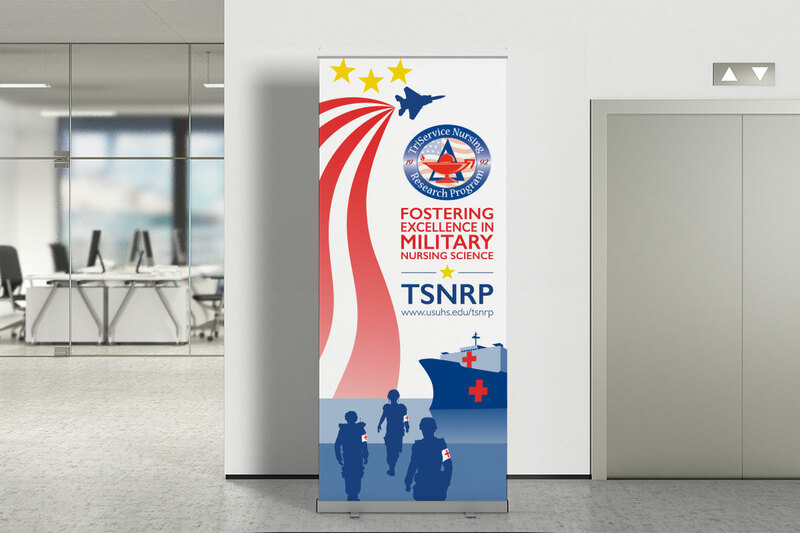 Palladian provides logistical and technical support to help TSNRP fulfill its mission of expanding the number of military nurse scientists and enhancing military nursing practice. Since 1998, Palladian has worked with TSNRP to manage research grants awarded to active and retired military nurses from all three Services—Army, Navy, and Air Force. During this time, Palladian has remained enthusiastic about the TSNRP mission and committed to providing the most up-to-date approaches. More specifically, Palladian has provided logistics for countless meetings and educational sessions for nurses in the military health system, with attendance ranging from 20 to 300. 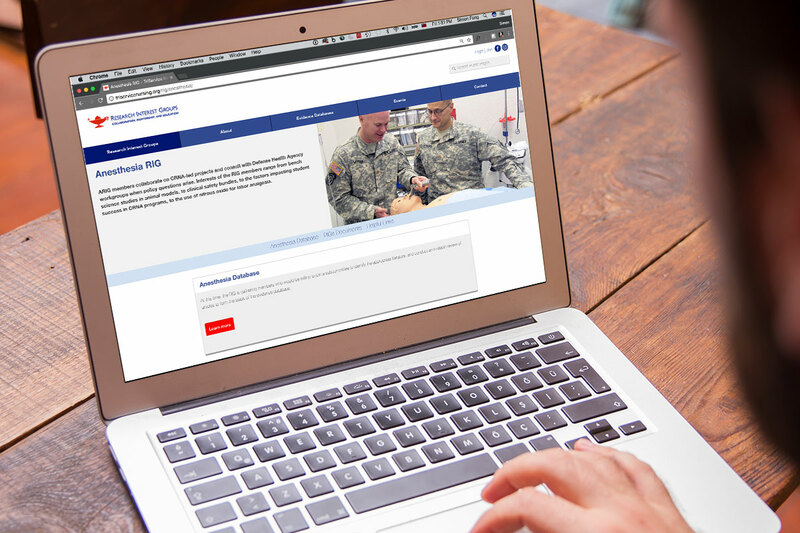 We maintain a pool of doctoral-level subject matter experts who have a wide range of military nursing research expertise in areas such as research methodology and evidence-based practice. Palladian science writers attend and summarize the scientific review panel and the advisory board meetings at which grant applications are discussed and scored. Our writers draw on substantial knowledge of scientific and medical topics to produce summaries, including how the panel scored proposals and any changes the panel required. 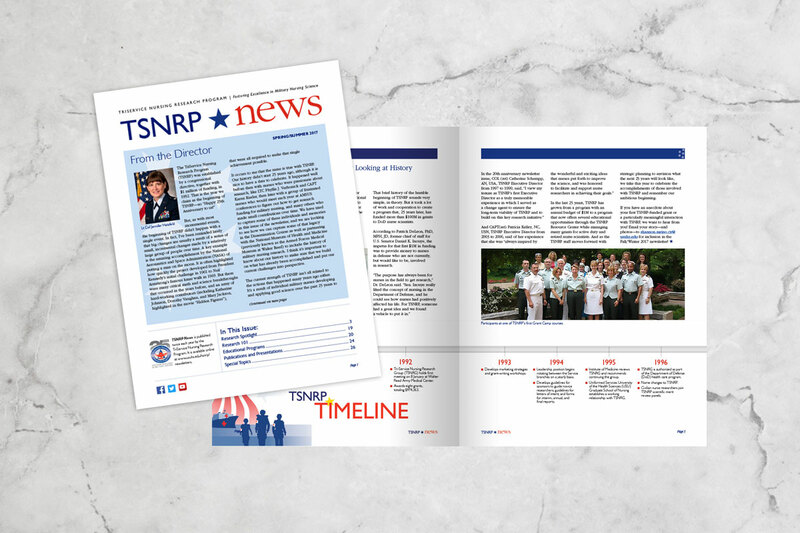 Palladian’s editorial and graphics staff has helped produce TSNRP annual reports every year since 2014 and produce a newsletter aimed at the military nursing research community twice a year. Since 2014, the TSNRP staff has coordinated the Research and Evidence-Based Practice Course, bringing together junior nursing scientists and nursing corps chiefs from the three Services. The course features keynote lectures by military nursing leaders and nationally known clinical experts, as well as a poster session for nurse scientists to share the results of their projects with the community of military nurse scientists. Another highlight is Grant Camp, where graduate degree–level nurse scientists at the have the opportunity to work on their TSNRP grant applications with guidance from faculty. Exceptional communication improves lives. We partner with organizations to drive positive change through engaging, evidence-based communication.